Lindsay Ellingson is a supermodel of international repute. She has walked the runways of many fashion shows and represented the biggest brands from Oscar de la Renta to Gucci, Giorgio Armani, Marc Jacobs, Christian Dior, Chanel, and their likes. Ellingson is well recognized as a Victoria’s Secret Angel. Alongside the likes of Alessandra Ambrosio, Ellingson is one of Victoria’s Secret top supermodels. Here are all the interesting facts you need to know about her life and career. Bio (Age) – Who Is Lindsay Ellingson (Model)? Lindsay Ellingson was born on the 19th day of November 1984, in Moreno Valley, California where she was also raised. She has a brother and two sisters. Following her high school graduation, the 5 feet 11 inches tall model proceeded to the University of California, San Diego to study for a bachelor’s degree in biology. It was while in college that the former dancer was discovered at a ProScout event in Orange County, California. Lindsay Ellingson’s career enjoyed an exponential rise. She got signed to a modeling agency and was sent to Paris where she met with the renowned fashion designer, John Galliano who makes designs for top brands like Givenchy, Christian Dior, and also owns his own eponymous fashion label. Galliano would help speed things up for Ellingson as she began repping top brands that he designed for. She made her runway debut during the Spring/Summer 2005 ready-to-wear shows and would go on to walk in shows of top fashion brands of the world. Subsequently, she sealed campaigns with the likes of Charles David, H&M, Tommy Hilfiger DKNY, MAC, Dolce and Gabbana, Moschino, and more. The alluring beauty has also graced the covers of several fashion magazines like Vogue, Elle, Marie Claire, and GQ. Ellingson began walking for Victoria’s Secret in the early 2000s and in 2009, she became a Victoria Secret Angel. She has revealed her most memorable career moment to be the first time she walked at the Victoria’s Secret Fashion Show. She was featured in the brand’s 2010 “SWIM” catalog and was the face of her VS Attractions. In addition to the money she earns from luxury brands, Lindsay Ellingson also mints from her own business. She is the co-founder of the luxury beauty label, Wander Beauty. Lindsay serves as the creative director of the brand which was formed in 2015. Her net worth has been estimated at $4 million and her assets include a $1.4 million two-bedroom condo in Brooklyn, New York which she bought in October 2018. 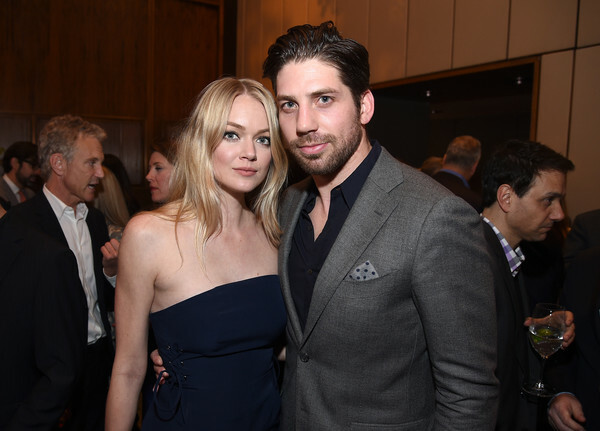 Lindsay Ellingson is married to Sean Clayton. The longtime couple tied the knot on the 12th of July 2014 in a wedding held at The Inn, located in Palmetto Bluff, South Carolina. They were engaged in the Thanksgiving holiday of 2013 when Clayton proposed at his parent’s home in Ohio. The location was the first place the couple ever spoke about getting married, as Ellingson narrated to Brides.com which documented their beautiful blush and rose-gold themed wedding. Ellingson had chosen rose-gold to match the rose-gold ring gifted to her by Clayton on their engagement day. She first went public with the ring on the 10th of December when she was spotted attending a screening of the 2013 Victoria’s Secret Fashion Show at the Highline Stages in New York City. For her big day, Ellingson wore a wedding gown by French designer Sophie Theallet while her husband opted for a classic Tom Ford tuxedo. Ellingson’s two bridesmaids were her sisters who wore pale-pink wrap dresses. The couple danced for the first time as husband and wife to Drake‘s Hold On, We’re Going Home. Upon their engagement in 2013, reports surfaced that the two had been an item for 6 years, however, according to their love story as seen on Brides.com, the couple met in 2011 during the launch party for Jay Z and Kanye West‘s Watch the Throne. Per her story, Clayton bumped into her on the dance floor and she immediately noticed how cute he was. They coincidentally bumped into each other again and sort of hit things off from there. Supermodels like Ellingson frequently fall for Hollywood A-listers or music superstars but her husband Sean Clayton has the relatively modest job of a medical sales representative. Ellingson revealed that her most memorable travel experience was when she traveled Hawaii’s Hana Highway with her husband.